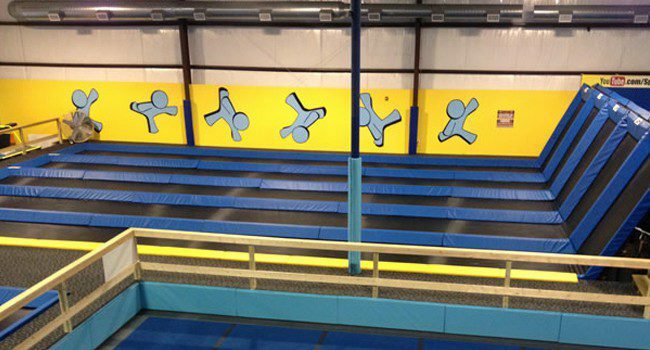 In 2011, US Gym Products was contracted to design a gym for Spring Loaded Trampoline Park as an addition to Texas Ski Ranch. The project was to design a gym, build and supply all trampolines, tumble tramps, and padding, and to aid in the installation of all equipment. 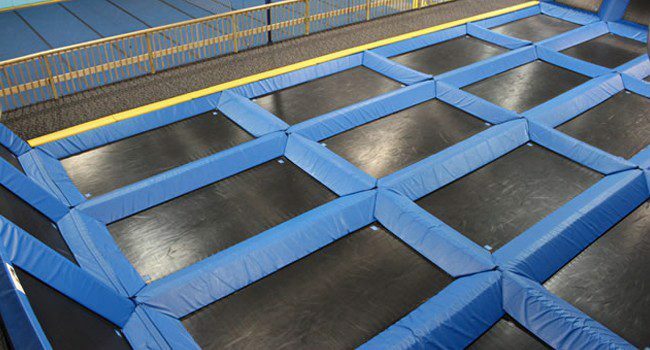 • (4) 6x6 trampoline at each end of the trampoline room. This picture illustrates the 40′ Tumble Tramps in the upper left of the picture and the 70′ Tumble Tramps in the middle. 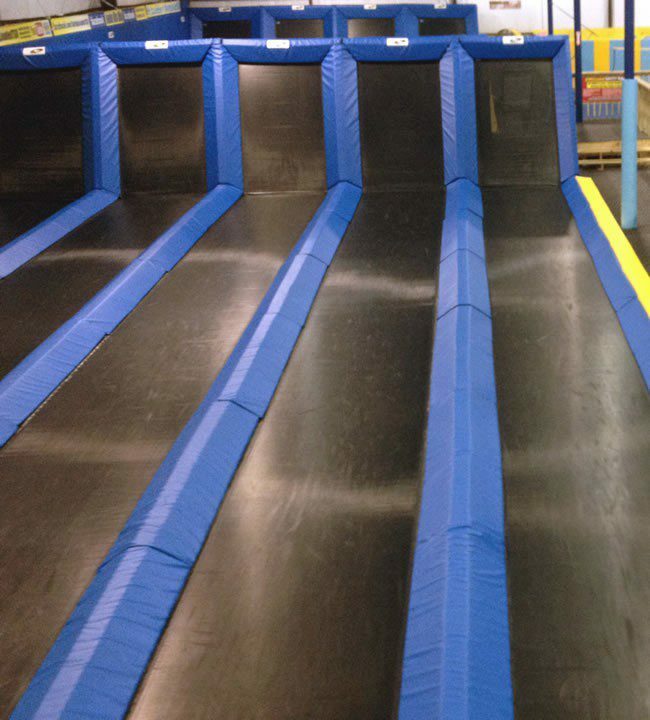 At one end of both the 40′ & 70′ Tumble Tramps is an incline that goes up 10 feet. This incline allows advanced athletes to tumble straight into the incline, bounce off it, and tumble back in the direction they came from without ever stopping. 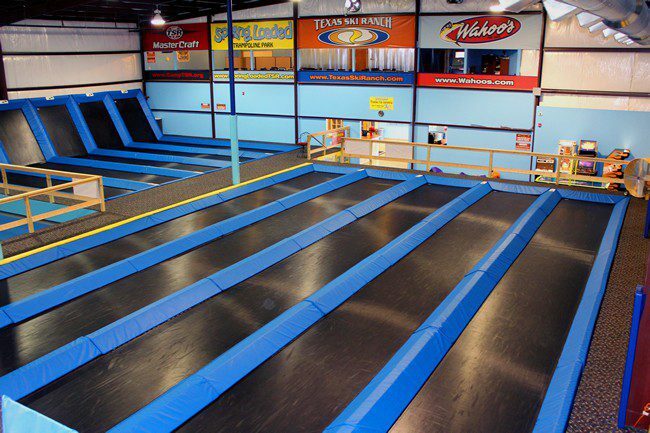 Our trampoline room consists of a (16) 6x12 trampoline floor with 6’x6′ trampolines angled up at the two ends of the room. This room adds a whole new twist to traditional dodge ball. 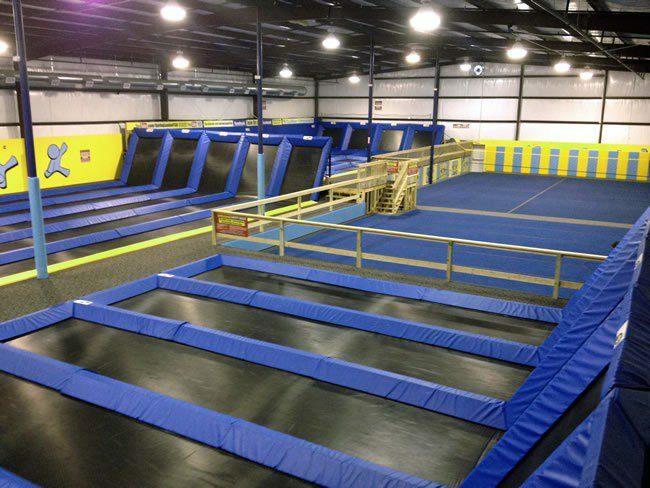 Here is another look at the trampoline room. You can see the angled 6’x6′ tramps at the end as well as another safety feature which is the 4″ thick padded side wall of the tramp room. 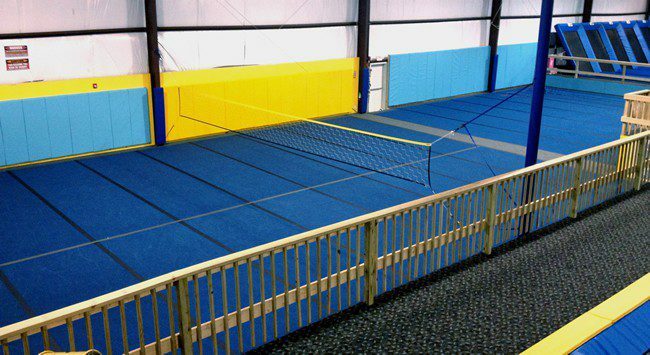 The unique innovation at this facility, and a first in a trampoline gym, was the use of our custom-designed 8″ thick foam pads. These pads have been utilized numerous times when we have been contracted to design a gym in the gymnastics world. We redesigned these to fit together in a grid for the trampoline room. These custom pads make this park one the most heavily padded and safest in the world. The Tumble Tramps also utilize these pads. This section of the facility shows the custom-made 101′ x 44′ wall-to-wall spring floor. 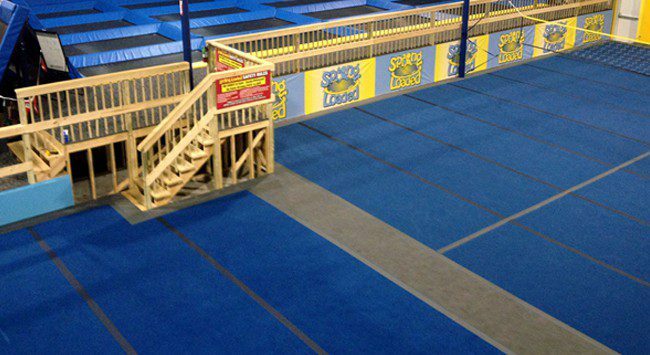 This floor has many uses, everything from volleyball and dodgeball to tumbling classes. The floor has a 2′ grey carpet bonded foam border that encircles the main blue area. There is also a 4′ grey strip dividing the floor in two. This makes it easy to have two distinct training areas on the same floor. 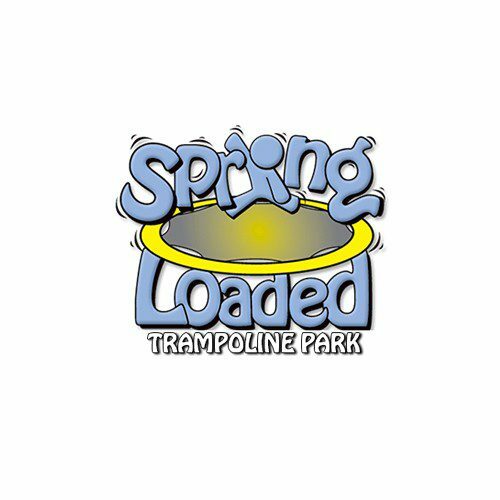 Spring Loaded Trampoline Park has become a great destination for kids and athletes alike. They come from all over Texas and the US to play and train. 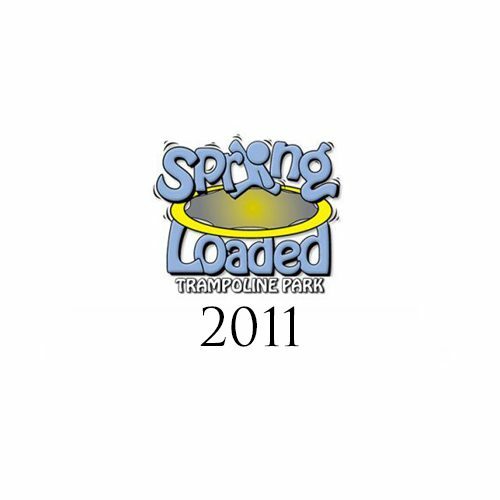 Visit www.Springloadedparks.com for more info!